Clarks Collision Center has been in business since 1991, providing quality auto collision repair to the people of central Vermont. The business has grown from one employee to eight employees, even the owner is very active in the daily operations of the business. 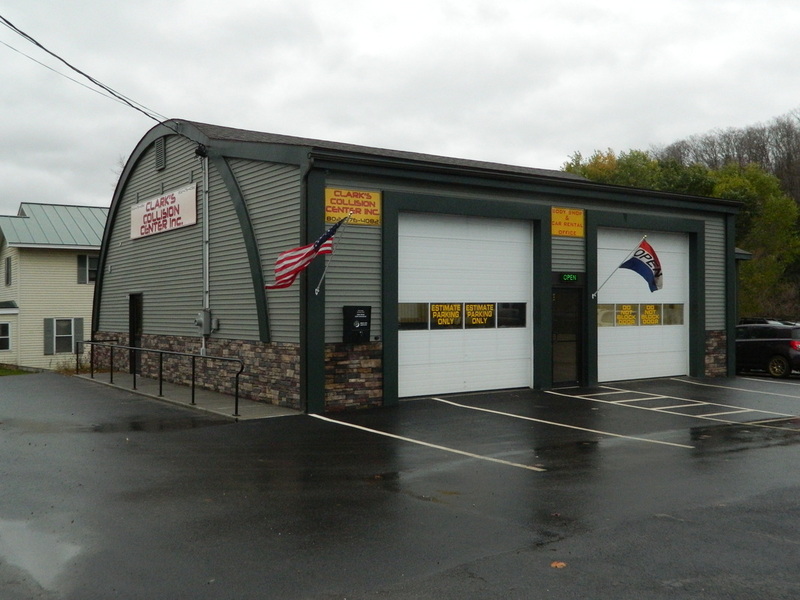 Clark's Collision Center started with as a small shop in Orange VT and moved to South Barre after a devastating fire a few years after opening. Ted Clark opened his business in South Barre with the original quonset hut, after a few years it was time to expand. Currently the complex houses a drive in estimate bay, detail facility, 9-bay repair building with a state of the art paint booth, in addition to a mechanical building housing a frame and alignment machine.